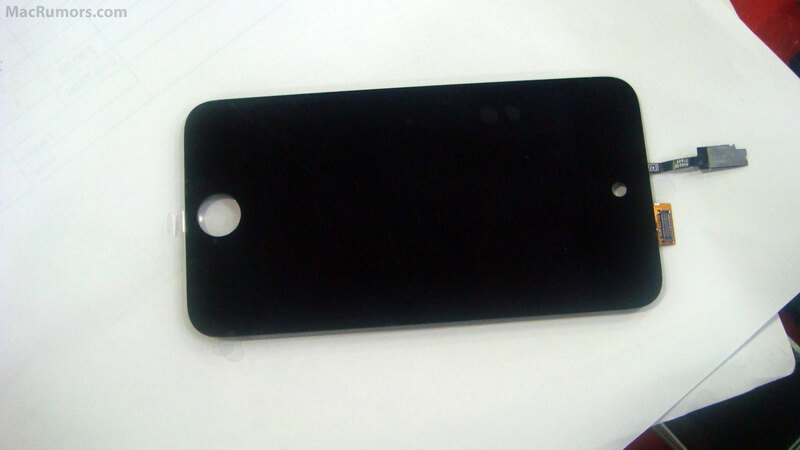 MacRumors has got hold of parts of LCD assembly which is claimed to be from the upcoming 4th-generation iPod touch. The bezel over the front-LCD has a hole in the top center which is most likely going to be for a front-facing camera for making FaceTime video calls across all iOS devices. Check out the images after the break. Images seems authentic because of the "Apple (c) 2010" label on the parts, which can be seen in the higher resolution image here. 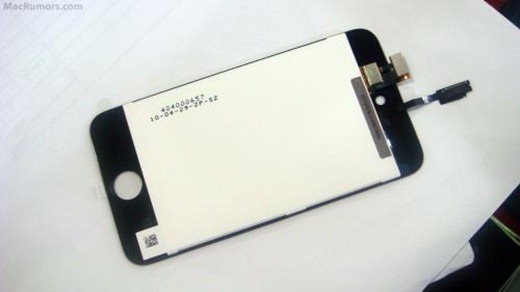 Earlier today, an illustration of iPod touch 4G also popped up on the Internet, showing a camera and LCD flash light on the back of the device. I really want to see how apple arrays the prices of this devices. Really? an iPod, and an iPod 3g? I would have sweared that the iPod 3g already exists and its called iPhone. If this is true is like they are gonna step on the others toes. But will it be too soon to make a FaceTime iPad? It's only been out for four months. How are they gonna get FaceTime everywhere this way? Doesn't a iTouch 3G just mean iPhone? What would be the point? Imagine the possbilities if the iPod comes with 3g. If they bump the capacity to 128gb flash memory, then I’m there, and I’ll snap one up; if not, then I’ll pass and continue using my old Zune 80. You don't even need a jailbreak! Just download the free icall application or use Skype or nimbuzz or something! Wrong. 3G is not 3rd Generation. Why do you think a lot of phones have 3G connection? They can't all be 3rd Gen.
iPhone 3G was the first iPhone to get 3G connection. Hence the name. Pwnin Noobs? looks like you just got Pwned…. Well, aren’t we all grown up, then? Time for your afternoon nap, I think. Considering the revamps and upgrades with a higher memory capacity, 2 Cameras on the front and back and whatever they want to add. How much do you think will the new Ipod Touch 4G cost?